Sunday 14th April 2019 - Auckland Central. The Shooting workshop is focussed on one of the cornerstones of your business - shooting amazing photos of people in love. It’s a one day investment in your business to dive deep into what you do and grow your shooting skills. The day will be full of teaching, inspiration, and hands on instruction from James and Cam. We will cover lots of ground, looking at how we see light, how we see locations, and how we work with our couples. You will take part in a stunning bridal shoot in a few amazing locations. Everyone will have the chance to shoot with our couple individually, while getting hands on direction and in the moment feedback of the images you are taking. This is a chance to really up your shooting game, learn a bunch of new tricks and to get some amazing portfolio images. Follow the button below, fill out the form and make your payment securely through Paypal and your spot will be booked in! What is your Instagram or website? Thanks for booking in for our Shooting Workshop on the 14th of April 2019! We can't wait to see you all. Please send through your payment of $750 below. Once received we will send through confirmation of your booking. Click the Pay Now button below to make your payment securely through Paypal. If you do not have a Paypal account, click 'Pay with Debit or Credit Card'. The morning is jammed packed full of information goodness. 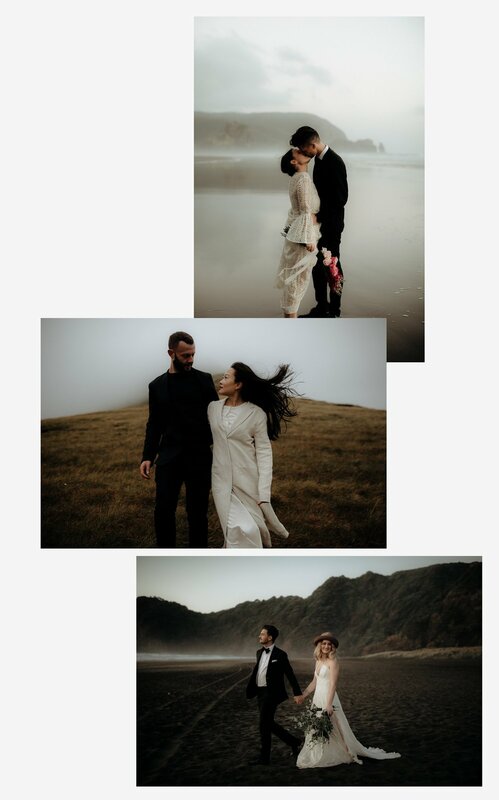 James and Cam will take you through their shooting philosophy and cover some great content on seeing light in new ways, picking out locations with intention and a how to work with your couples to capture stunning natural moments. We will also cover some key aspects of gear, settings, and workflow on a wedding day. There will be time throughout to work with you one on one to answer questions, look at what you are currently and discuss your wedding photography business in general. You will also take part in a live bridal style photoshoot. This will be a fully styled shoot with a bridal dress and suit, makeup and stunning florals. We will have some epic locations lined up to take you to. You will learn from James and Cam as you watch how they work with light and work with their couples to capture natural moments. Dates: Monday the 14th of April 2019. Time: 12.30am-9pm. Finishing on the west coast. Location: Auckland Central: Grey Lynn. An invitation to our private Facebook group to network with others who have attended our workshops to learn more and share enquiries with each other. 50% off code for our Chasewild Preset Pack 1. This workshop is for photographers who shoot wedding regularly or who have some coming up and are looking to up their skills. Basic camera knowledge is assumed. Hit 'book your place' above and we will send through the payment info. No, but, if you can't make it you may transfer your ticket to another photographer. I'm not sure if I have the right skill level for the workshop? If you have any hesitation whatsoever please email us at hello@chasewild.com and we can discuss it. 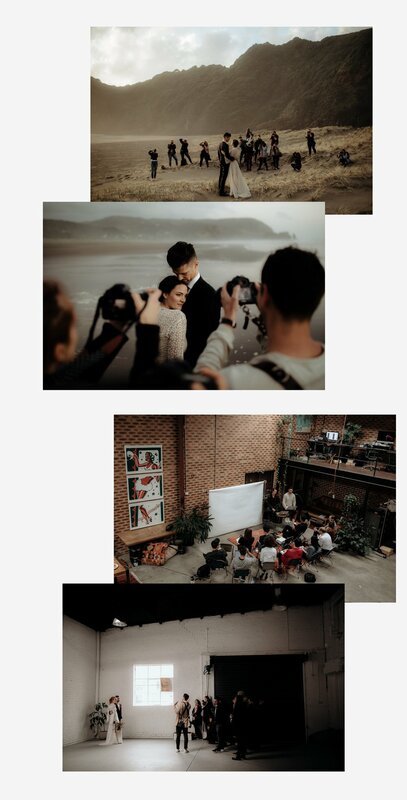 Can I use the images from the photoshoot on my website/facebook? Of course, this is an opportunity to create some epic images to use in your portfolio. Your camera and lenses and a pen and paper (for notes). That's all. We will have some camera gear available for you to test and try during the photoshoot.